I admit that I was one of those people that rolled their eyes at people that were using vaporizers. Not so much if they used them outside, but when they were sitting at a bar or in a restaurant and were vaping away. I get that it’s not cigarette smoke, but it still just seemed rude and a bit pretentious. That was until a good friend explained to me that, after years of smoking at least a pack a day of Newport Lights, he had started to vape. My friend explained to me that he had gradually been working his way off the nicotine and he was at only 2%. That kind of floored me. This person was a human chimney for the last 10-12 years and now he was telling me that he was 2% away from sucking nothing but vapor. So while I still don’t get the people that continue to vape indoors, I understand why they are vaping in the first place. I’m all for friends living longer and if this helps them kick their habit, then so be it. 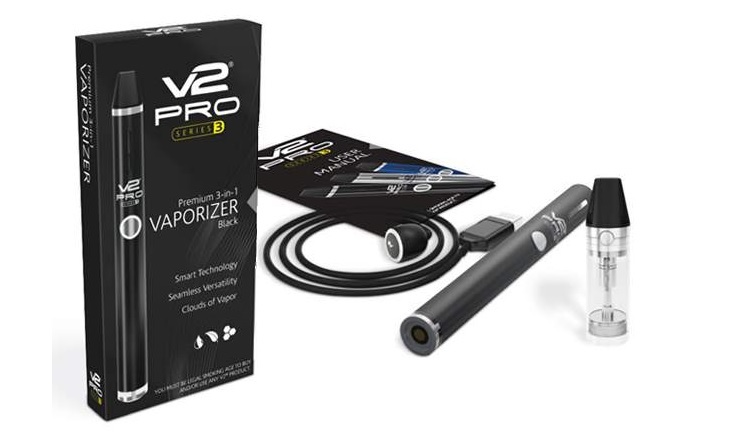 Be sure to enter for your chance to win one of fifty FREE Pure E Liquids V2 Pro Series 3 vaporizers.